The Diabolo is no toy. 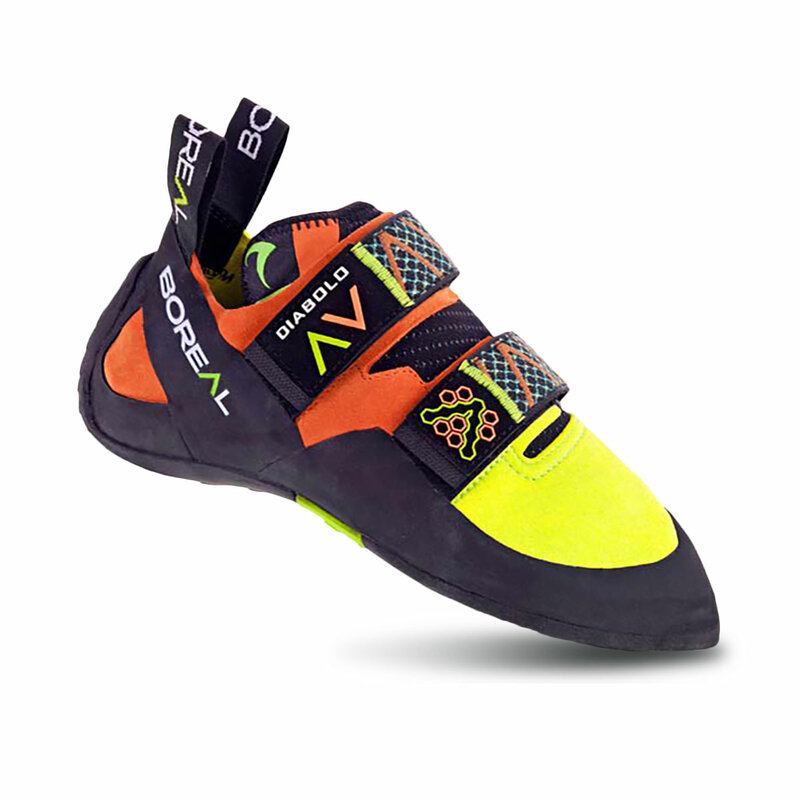 Designed with a slim-fit last specially suited to those with narrow feet, the Boreal Diabolo is downturned and asymmetrical for a level of performance on overhangs and precision on microholds that lasts all day. The stiff midsole provides extra support to the foot on longer climbs and edges, perfect for intermediates with weaker feet or multipitch climbers. A close-fitting heel with a double strap enclosure ensures a secure fit, and a high-quality split leather and microfiber upper (which will stretch about a half a size) provides a slipper-like feel at the toe. 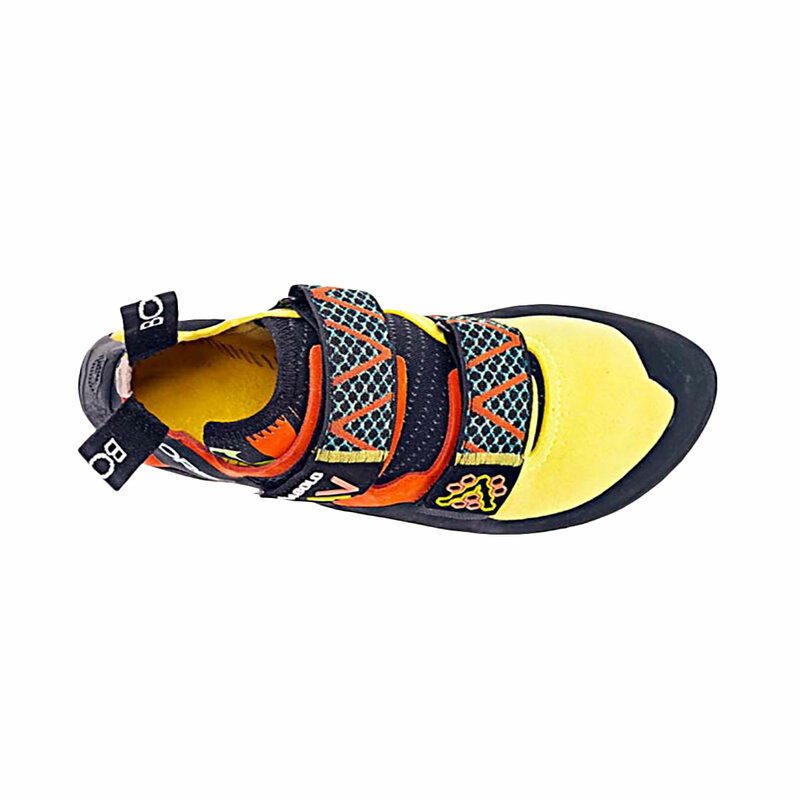 Precise yet forgiving, the Diabolo is perfect for climbers looking to step onto harder climbs.